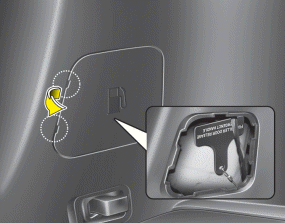 If the fuel filler door does not open using the remote fuel filler door release, you can open it manually. Unsnap and remove the panel in the cargo area. Pull the handle outward slightly.